Physical characteristics: This babbler is 9.6 inches (24 centimeters) from tip to tail, but its weight is unknown. 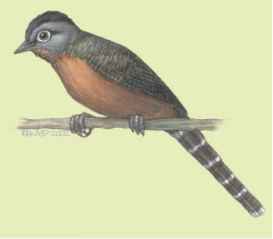 Both sexes have small brown bodies with reddish brown underbellies and long tails with thin white stripes ringing the black feathers. Black-crowned barwings have a small black crest on their heads and black stripes on their throat. 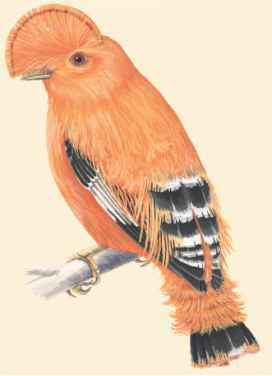 Geographic range: This species was discovered in 1996 in the western highlands of Vietnam. This was thought to be their exclusive habitat until they were found in six other places in the same province and along the Dakchung plateau in Laos. 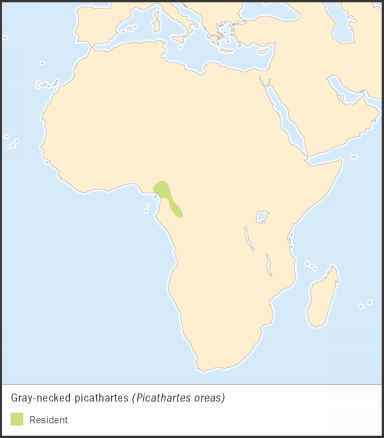 Habitat: The black-crowned barwing prefers evergreen and pine forests where there are plenty of insects. It will also take what food it needs from bushes in grasslands and along the edges of cultivated fields. Diet: The black-crowned barwing eats a diet of insects it plucks from leaves in the high branches of trees or bushes. Behavior and reproduction: This bird is non-social, preferring to feed alone or with another bird. It mates for life and sings duets with its partner, taking turns singing the melody line. Neither its reproductive cycle nor its nest have been observed in the wild. Black-crowned barwings and people: These birds have bright coloring, and may be attractive to birdwatchers.